Who knows what's causing this cohort of cubicle warriors to buckle over in laughter, but few humans would disagree that a good chuckle every now and again feels good. Monkeys, dogs and fish get a kick out of life as well, says Jonathan Balcombe, a senior research scientist with the Physicians Committee for Responsible Medicine in Washington, D.C. He has written several research papers and books on animal pleasure, including "Exultant Ark: A Pictorial Tour of Animal Pleasures," due out next year. Click the "Next" arrow above for an overview of good times in the animal kingdom. 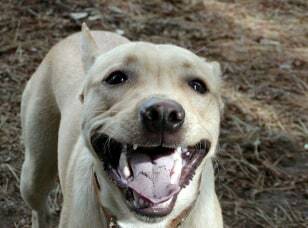 Dogs, a slate of research suggests, are full of expression. "Those who live with dogs know that by looking at the body posture and the tail movements and the facial expressions and the sounds they make, we can sort of divine how they are feeling; whether they are feeling up or down, excited or grim or guilty, or what have you," Balcombe says. Even people who haven't lived with dogs, studies show, are able to read dog behavior, he adds. "We can only imagine how well dogs can read dogs, but dogs 'dogamorphize,' I suppose, and being dogs — with their keen sense of smell, for example — they get a lot more information than we do." Look to horses for biological evidence that animals can feel pleasure. Balcombe notes that studies have found, for example, that horses' heart rates drop when they are groomed on parts of their necks and withers. A drop in heart rate "is known to be a response to feeling good and feeling relaxed," he says. 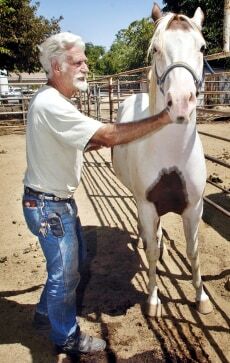 In this image, Mike Polder comforts his horse Rowdy who was recovering from a West Nile virus infection. When young rats — the rodents that some humans love to hate — are seen running around wrestling with each other, they are actually in what equates to a tickle fight, according to research led by Jaak Panskeep at Washington State University. 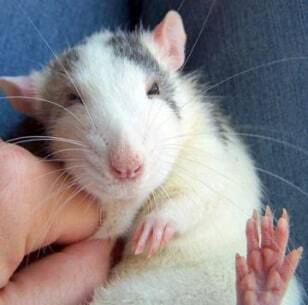 The rats, it appears, love to be tickled. His work, cited by Balcombe, shows that rats that have been trained to expect a belly tickle will approach a researcher's hand much more quickly than a rat that knows it'll just receive a neck rub. 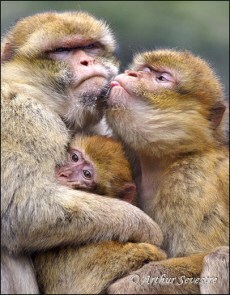 Observations indicate that monkeys like to cuddle, such as those shown here, and give massages. Balcombe says these rub downs cause monkey blood chemistry and hormone levels to change in ways "that are consistent with what we would find in ourselves when we are receiving a massage." The biochemical finding, he adds, is another window into how animals experience pleasure. As many humans know, sexual activity isn't always for the purpose of making a baby. The animal kingdom is full of examples of creatures that get it on just 'cause, says Balcombe. 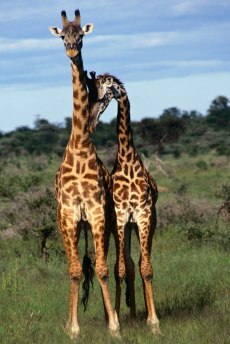 Among giraffes, for instance, homosexual activity is often more common than heterosexual activity. And even when the act is in the direction of procreation, Balcombe says that most animals probably don't connect the dots between their pleasure seeking and babymaking. Balcombe's studies on animal pleasure are, in part, a pushback against the scientific community's penchant for parsing animal behavior in strict evolutionary terms. 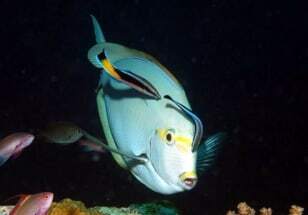 For example, the relationship between cleaner fish and their clients is often described as one of mutual benefit. The cleaners get food from the parasites on the clients' bodies and the clients get cleaned. "But I think the reason the fish go there is because it feels good. I don't think the fish clients are aware of any health benefit," he says. "So I do think that's a pleasure driven interaction." 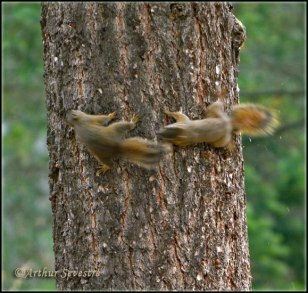 The squirrels shown here chasing each other around a tree are just playing around, according to Balcombe. While play behavior may have evolutionary underpinnings such as learning to escape from predators and tackle prey, Balcombe argues in a recent review paper in the journal Applied Animal Behavior Science that animals "do not consciously play for ultimate reasons: they play because it is fun to do so." 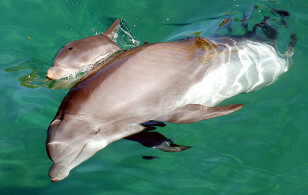 Is this bottlenose dolphin happy to be bonding with her newborn calf? Despite a vast scientific literature on dolphin intelligence and scant doubt that they can feel pleasure, Balcombe says little can be gleaned from their facial expressions. Dolphins, he notes, have fairly fixed expressions. "The important thing with interpreting other animal's feelings is to know the animal, to know their biology, to know how they work," he says. 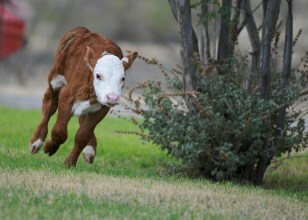 Whitaker, a calf freed from a factory farm operation, enjoys a good run in this image. Balcombe, who has been a vegetarian for 25 years, says he grew up eating meat and "grew to love it." He stopped his carnivore ways out of concerns for animal welfare and thinks the growing body of research on animal feelings along with research showing adverse effects on the planet's health from animal agriculture will motivate other people to change their diets too.